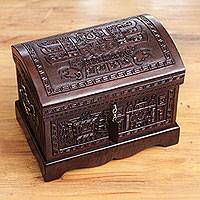 Crafted by hand, this jewelry box by Julio Sanchez is a superb example of a traditional Peruvian art. 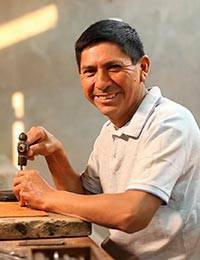 He works in mohena wood, a fine hardwood whose grain is similar to mahogany. 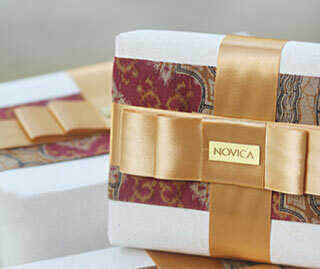 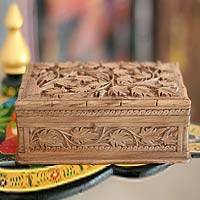 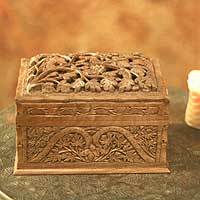 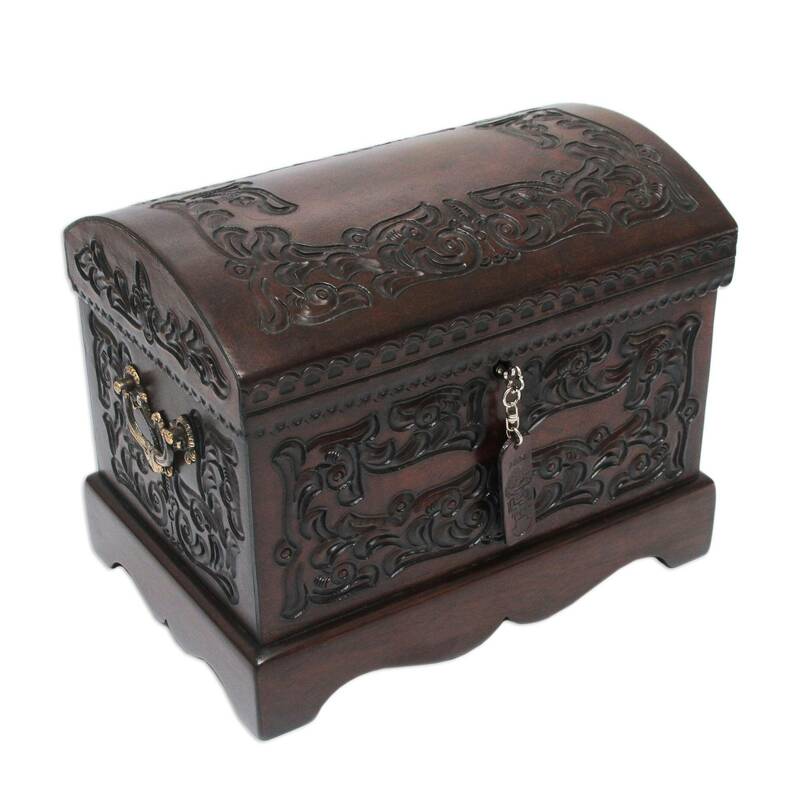 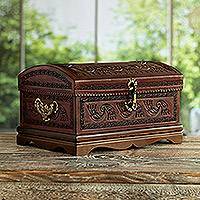 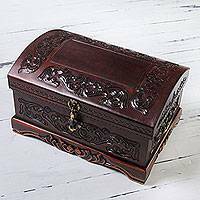 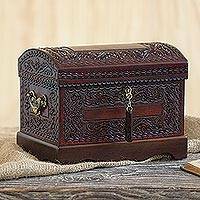 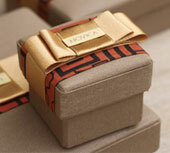 Richly tooled leather depicts colonial art motifs, and the locking chest features ornate bronze handles on each side. 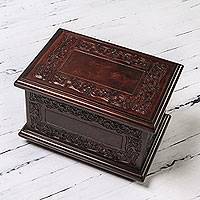 A lift-out tray has three compartments.